The Shabaab al-Mujahideen Movement, al-Qaeda's (AQ) branch in Somalia, claimed killing 15 Kenyan and 6 Ethiopian troops in bombings in Bakool and Lower Juba regions, respectively, in addition to 11 other attacks in five days. 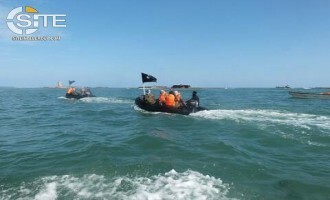 The Shabaab al-Mujahideen Movement, al-Qaeda's (AQ) branch in Somalia, claimed an ambush at sea on Somali soldiers boating between Merca and Mogadishu, and announced its execution of four spies in a public square in Lower Juba, one who confessed to working for the British intelligence. 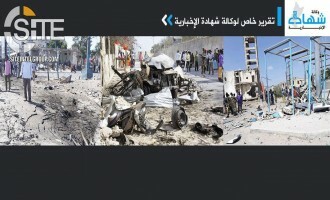 The Shabaab al-Mujahideen Movement killed and wounded dozens in a bombing targeting government officials in Mogadishu, according to a “special report” by the group’s Shahada News Agency. The Shabaab al-Mujahideen Movement claimed seizing control over additional towns following the withdrawal from them by the Somali National Army (SNA), and reported that the residents celebrated the arrival of the fighters. 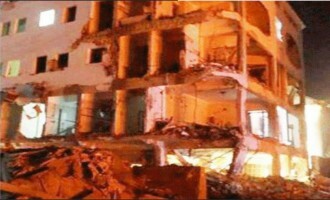 After its Shahada News Agency reported its responsibility for two car bombings and a suicide raid at a building housing the Somali labor and work ministries in Mogadishu, the Shabaab al-Mujahideen Movement issued a formal communique in which it announced the killing and wounding of 41 people, including senior officials. The Shabaaab al-Mujahideen Movement claimed credit for two car bombings and an ongoing suicide raid at a building housing the Somali labor and work ministries in the capital, Mogadishu. The Shabaab al-Mujahideen Movement, al-Qaeda's (AQ) branch in Somalia, announced that it has regained control over Busar, a town near the Somalia-Kenya border in Gedo region, following the withdrawal by Kenyan forces, and freed prisoners from a jail amidst an offensive in Bal'ad, in Middle Shabelle. 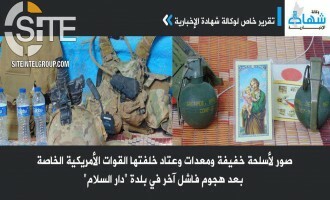 Following-up on its claim for thwarting a raid by U.S. Special Forces outside Mogadishu and killing the operation commander, the Shabaab al-Mujahideen Movement published photos of his alleged weapons and gear, including 200 USD and a picture of Jesus Christ. 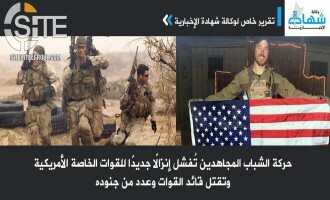 The Shabaab al-Mujahideen Movement, al-Qaeda's (AQ) branch in Somalia, claimed thwarting a raid by U.S. Special Forces outside Mogadishu and killing the operation commander. 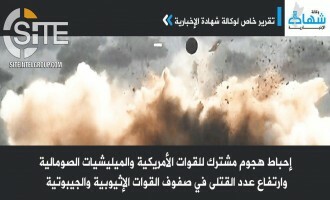 Shahada News Agency, an Arabic media unit of the group, published an article on March 12, 2019, stating that after midnight that day, fighters took both American and Somali Special Forces by surprise as they were preparing to launch an offensive on the town of Dar al-Salam, in Lower Shabelle region, 60 kilometers southwest of the capital. 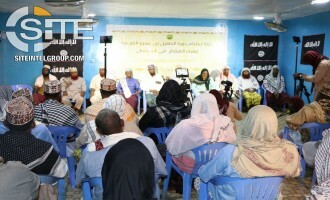 The Shabaab al-Mujahideen Movement, al-Qaeda's (AQ) branch in Somalia, reported that 40 Somali tribal leaders pledged allegiance to its leader, Abu Ubaidah Ahmed Umar, and vowed to fight the "occupiers" together. The same day it detonated a car bomb outside the Presidential Palace in Mogadishu, the Shabaab al-Mujahideen Movement claimed bombing a vehicle belonging to "foreign Mercenaries Believed to be Americans," also in the Somali capital. 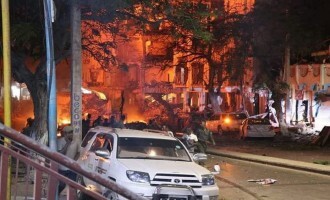 Continuing to focus on Mogadishu, and demonstrate its ability to bypass security, the Shabaab al-Mujahideen Mujahideen claimed credit for the car bombing at a checkpoint of the Presidential Palace in the capital. The Shabaab al-Mujahideen Movement announced its recapture of Fahfahdun, a town in Somalia's Gedo region, and claimed attacking Kenyan forces as they withdrew, in addition to providing new details on the suicide raid at the Makka al-Mukarama Hotel in Mogadishu. 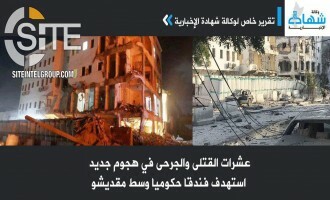 After its Shahada News Agency reported its responsibility for the suicide raid at the Makka al-Mukarama Hotel in Mogadishu, the Shabaab al-Mujahideen Movement issued a formal communique in which it claimed killing over 135 casualties, and reiterated its mission to "paralyze" the Somali government. 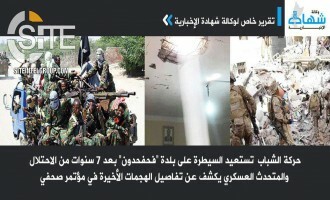 A media unit for the Shabaab al-Mujahideen Movement, al-Qaeda's (AQ) branch in Somalia, provided details on the suicide raid at the Makka al-Mukarama Hotel in the capital, Mogadishu. The Shabaab al-Mujahideen Movement, al-Qaeda's (AQ) branch in Somalia, claimed credit for the suicide raid at a hotel in downtown Mogadishu. The Shabaab al-Mujahideen Movement charged the U.S. with civilian deaths in an airstrike in Qunyo Barrow, using a disturbing photo of a killed baby as evidence, and claimed credit for the assassination of Somali MP Osman Elmi Boqore in the capital, and hitting an AMISOM helicopter with an RPG as it sat at a base in Lower Shabelle. A media unit for the Shabaab al-Mujahideen Movement boasted of the success of the al-Qaeda (AQ) branch in its guerrilla war against enemy forces, and reported attacks on AMISOM and Somali troops in three Somali regions on the same day. The Shabaab al-Mujahideen Movement claimed a car bombing on a joint U.S.-Somali military convoy near Afgoye, in Somalia's Lower Shabelle region, and reported its taking control over a large swath of Bal'ad, a city in Middle Shabelle. The Shabaab al-Mujahideen Movement, al-Qaeda's (AQ) branch in Somalia, claimed killing nine Ethiopian soldiers and wounding 20 others in a double bombing in Bardhere, a city in Gedo region. 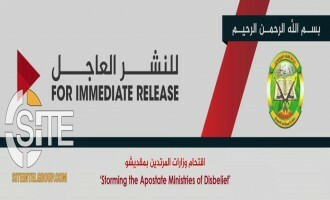 Two days after it reported to have killed three American soldiers in an attack on Baledogle Airfield, the Shabaab al-Mujahideen Movement elaborated upon its motivations for the strike, and among other reports, claimed killing and wounding 17 Djiboutian forces in a single operation, in Jalalaqsi. 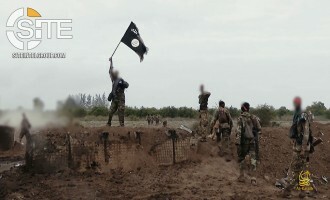 The Shabaab al-Mujahideen Movement, al-Qaeda's (AQ) branch in Somalia, claimed shelling an American base inside Baledogle Airfield in Lower Shabelle, killing three U.S. soldiers and five Somali Special Forces, and took credit for attacks on Somali soldiers elsewhere in the region. The Shabaab al-Mujahideen Movement, al-Qaeda's (AQ) branch in Somalia, claimed shelling an American base inside Baledogle Airfield in Lower Shabelle and attacks on Somali soldiers elsewhere in the region. The Shabaab al-Mujahideen Movement accused the U.S. of bombing a residential area in revenge for its failed raid in Lower Shabelle, and claimed that such disregard for civilians only strengthens the jihadi call. During its operations concentrated in Somalia's Lower Shabelle region, the Shabaab al-Mujahideen Movement claimed thwarting a joint raid by U.S. Special Forces and Somali troops. 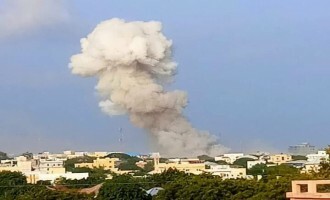 The Shabaab al-Mujahideen Movement, al-Qaeda's (AQ) branch in Somalia, claimed seven attacks in a five-day period, one of them a bombing in which a brigade commander was killed, while its media unit noted an overall escalation in strikes on Somali and AMISOM forces. The Islamic State (IS) released a video from its "Somalia Province" on slain fighters, featuring a posthumous clip of an English-speaking Somali-Canadian doctor calling for medical professionals to travel to and join the group. 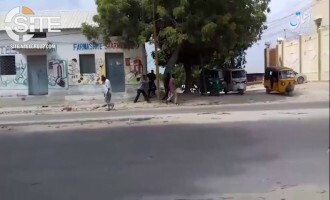 The Shabaab al-Mujahideen Movement claimed credit for the assassination of a manager for the UAE-based DP World Company in the port city of Bosaso, and blast in Mogadishu's Hamar Weyne district, targeting security officials. The Shabaab al-Mujahideen Movement, al-Qaeda's (AQ) branch in Somalia, claimed killing 19 Somali soldiers in a single bombing in Lower Juba region, in addition to inflicting casualties among other Somali troops as well as AMISOM forces in Bay, Hiran, and Lower Shabelle. 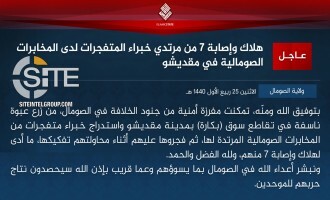 The Islamic State (IS) claimed casualties among Christians in an attack in Bosaso in Somalia's Bari region, and killing four policemen in Afgoye by gunshot. 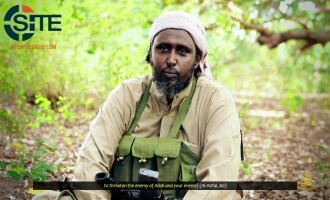 The Shabaab al-Mujahideen Movement, al-Qaeda's (AQ) branch in Somalia, claimed assassinating an official in the Somali Interior Ministry in Mogadishu, and reported the surrender of four soldiers from Jubaland, three of them guards of the autonomous state's president, Ahmed Mohamed Islam (AKA Ahmed Madobe). The Shabaab al-Mujahideen Movement issued a formal statement for its raid on a Somali military base outside Kismayo, allegedly killing 41 troops. Just one day after it alleged to have killed over 57 Ethiopian troops in an ambush in Somalia's Bay region, the Shabaab al-Mujahideen Movement claimed inflicting more than 41 deaths among Somali soldiers in s "sweeping attack" near Kismayo. 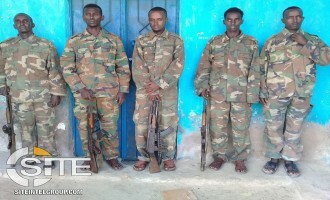 Shabaab Declares Ambush Killing 57 Ethiopian Soldiers a "Severe Blow" and "Stern Warning"
The Shabaab al-Mujahideen Movement issued a formal statement for its ambush in Somalia's Bay region allegedly killing 57 Ethiopian soldiers, calling the operation a "severe blow" and a "stern warning" to these forces. Just three days after its deadly attack at the 14 Riverside Drive business complex in Nairobi, Kenya, the Shabaab al-Mujahideen Movement, in its home base of Somalia, claimed killing 57 Ethiopian troops in an ambush. 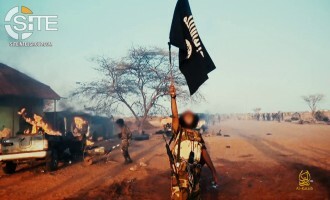 The Somalia-based al-Qaeda (AQ) branch, the Shabaab al-Mujahideen Movement, reported the surrender of ten Somali soldiers in different parts of the country, and claimed taking control over a town in neighboring Kenya after enemy forces allegedly fled from it. The Shabaab al-Mujahideen Movement, al-Qaeda's (AQ) branch in Somalia, reported that 13 Somali soldiers surrendered in Gedo region, and among 11 attacks in 4 days, claimed a mortar strike on a UN compound in Mogadishu. 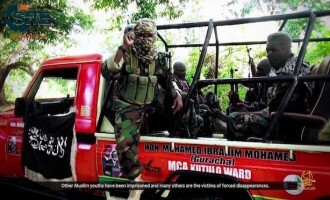 The Shabaab al-Mujahideen Movement charged the U.S. with deliberately launching an airstrike on a commercial truck convoy near Afmadow, and claimed a total of 18 attacks in a 5-day period, targeting Somali security forces and government officials, and AMISOM troops. The Shabaab al-Mujahideen Movement claimed seizing control over the town of Gufgudud in Somalia's Bay region following an offensive, and also took responsibility for six other attacks in three days. 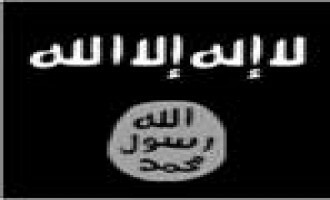 Shahada News Agency, an Arabic media unit for the al-Qaeda (AQ) branch, published seven messages on November 28-30, 2018, reporting Shabaab operations in Mogadishu (Banaadir), Bari, Bay, Lower Juba, and Lower Shabelle regions. After an initial report in which it claimed credit for the suicide raid killing Sufi scholar Sheikh Abdiweli Ali Elmi, who it called a "blasphemer against the Messenger of Allah," the Shabaab al-Mujahideen Movement provided details on the attack and its motivations for waging it. The Somalia-based al-Qaeda (AQ) branch, the Shabaab al-Mujahideen Movement, claimed credit for the suicide raid in Mudug killing Sufi scholar Sheikh Abdiweli Ali Elmi, calling him a "blasphemer against the Messenger of Allah". After claiming credit for murdering an electoral committee member on November 10, 2018, the Shabaab al-Mujahideen Movement killed two more, in addition to making an assassination attempt on the deputy chairman of Puntland's Supreme Court. The Shabaab al-Mujahideen Movement, al-Qaeda's (AQ) branch in Somalia, claimed an assassination attempt on a parliamentarian among six attacks throughout the country on the same day. On November 20, 2018, the group's Shahada News Agency published six reports, among which is a claim for bombing a vehicle belonging to Somali MP Dahir Amin Jesow in downtown Mogadishu. 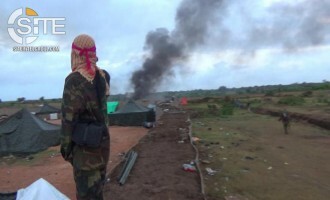 The Somalia-based Shabaab al-Mujahideen Movement claimed 17 attacks in a period of nine days, among which were defensive and offensive operations involving the Galmudug Security Force (GSF) in Galduduud, a region of little to no Shabaab military activity in the past year. A media unit for the Shabaab al-Mujahideen Movement gave details of the attack at the Sahafi Hotel in the Somalia capital, Mogadishu, and claimed casualty figures of 30 killed and 120 wounded. 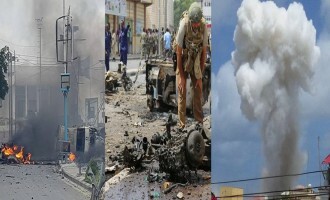 The Somalia-based branch of al-Qaeda (AQ), the Shabaab al-Mujahideen Movement, claimed two suicide bombings and a raid at the Sahafi Hotel in the capital, Mogadishu. 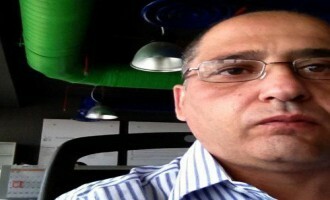 The Shabaab al-Mujahideen Movement, the Somalia-based branch of al-Qaeda (AQ), claimed assassinating a Hirshabelle MP in Mogadishu while failing in an attempt to assassinate a government official in Bardale two days prior, and killing a supply director for Somali Special Forces in Lower Shabelle. Al-Qaeda's branch in Somalia, the Shabaab al-Mujahideen Movement, released a documentary-style video promoting jihad in the country and featuring footage from the March 2, 2018, ambush of Burundian forces within AMISOM in the town of Bal'ad. 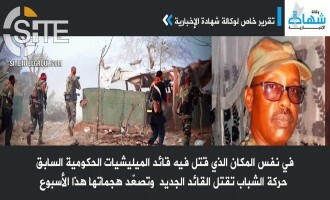 The Shabaab al-Mujahideen Movement, al-Qaeda's (AQ) branch in Somalia, claimed two attacks on Somali Special Forces, one hitting an officer identified as foreign, in Mogadishu and Lower Shabelle. The Islamic State’s (IS) ‘Amaq News Agency issued a report claiming the shooting of a customs agent in Bosaso. The Shabaab al-Mujahideen Movement, al-Qaeda's (AQ) branch in Somalia, claimed bombings and shootings on AMISOM, Kenyan, and Somali forces in the center and south of the country. The Somalia-based Shabaab al-Mujahideen Movement claimed three attacks on AMISOM, PSF, and SNA forces in the south, middle, and north of the country, and bombing two Kenyan military vehicles in Mandera County in neighboring Kenya. The Shabaab al-Mujahideen Movement, al-Qaeda's (AQ) branch in Somalia, claimed mounting a major offensive in Merca, the provincial capital of Lower Shabelle, during the presence of Somali President Mohamed Abdullahi (Farmajo) Mohamed. Just two days after announcing its execution of five spies in Somalia's Middle Juba region, the Shabaab al-Mujahideen Movement declared its implementing the "punishment for apostasy" on another five in the same region. 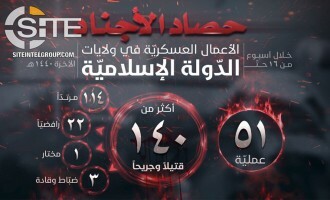 Shahada News Agency, the media unit for Shabaab al-Mujahideen Movement, al-Qaeda’s (AQ) Somali branch, reported the executions of 5 alleged spies. The Shabaab al-Mujahideen Movement claimed a mortar strike on a military base in Kenya's Lamu County and eight attacks on Somali National Army (SNA) and AMISOM forces in four days in its home base of Somalia. The Shabaab al-Mujahideen Movement, al-Qaeda's (AQ) branch in Somalia, claimed a suicide bombing on what it called a "convoy of European Union officers and trainers" in the capital, Mogadishu, in addition to seizing control over villages and a town in southern regions. 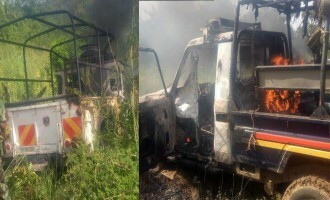 The Shabaab al-Mujahideen Movement, al-Qaeda's (AQ) branch in Somalia, claimed inflicted over a dozens casualties among the Somali National Army (SNA) in the country, and bombing a military truck in Mandera County in neighboring Kenya. The Somalia-based al-Qaeda (AQ) branch, the Shabaab al-Mujahideen Movement, claimed two operations in two days in Lamu County in neighboring Kenya, capturing three Kenyan soldiers and killing at least eleven. The Islamic State's (IS) "Somalia Province" published a photo report giving a rare look at the daily life of its fighters. The Shabaab al-Mujahideen Movement, al-Qaeda's (AQ) branch in Somalia, claimed bombing a joint patrol of American and Burundian forces in Middle Shabelle, and reported the killing of at least 18 Somali soldiers within five days. The Shabaab al-Mujahideen Movement, al-Qaeda's (AQ) branch in Somalia, claiming killing 23 Somali soldiers combined in two attacks in Gedo and Lower Juba in two days, and reported an enemy drone hitting a general hospital and school for boys in Middle Juba. The Shabaab al-Mujahideen Movement, al-Qaeda's (AQ) branch in Somalia, claimed bombing Kenyan military vehicles in Lower Shabelle and making an assassination attempt on Somali MP Muhammad Mursal in the capital, Mogadishu. The Shabaab al-Mujahideen Movement claimed thwarting an operation by U.S. Special Forces in Lower Shabelle region in its home base of Somalia and bombing a Kenyan military vehicle in Mandera County in neighboring Kenya. 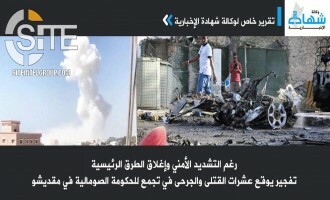 The Shabaab al-Mujahideen Movement, al-Qaeda's (AQ) branch in Somalia, claimed killing over 20 Somali soldiers in a suicide bombing at the Hodan district offices in the capital, Mogadishu. 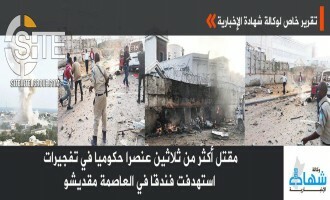 The Shabaab al-Mujahideen Movement, al-Qaeda's (AQ) branch in Somalia, claimed credit for the suicide bombing at the Howl-Wadag district headquarters in the capital, Mogadishu. The Shabaab al-Mujahideen Movement claimed killing 20 Kenyan soldiers in an ambush in Kenya's Lamu County and multiple attacks on the Somali National Army (SNA) and AMISOM forces in its home base of Somalia. The Shabaab al-Mujahideen Movement claimed credit for the assassination attempt on deputy defense minister Abdullahi Olad Rooble in the capital, Mogadishu, in addition to two attacks in its home base of Somalia and one in neighboring Kenya. The Shabaab al-Mujahideen Movement, al-Qaeda's (AQ) branch in Somalia, released a video on the September 28, 2017, raid at a Somali Special Forces (Danab) camp in Barire, in Lower Shabelle region. Within four days, the Shabaab al-Mujahideen Movement, al-Qaeda’s (AQ) branch in Somalia, claimed eight attacks on Ugandan, U.S., Somali, and Burundian forces in three regions of Somalia. The Shabaab al-Mujahideen Movement, al-Qaeda's (AQ) branch in Somalia, claimed multiple attacks in the country on AMISOM and Somali National Army (SNA) forces, and a bombing on Kenyan Defense Forces (KDF) in Mandera County in neighboring Kenya. The Shabaab al-Mujahideen Movement claimed assassinating a Somali soldier in its home base of Somalia and killing 11 Kenyan forces in Lamu County in neighboring Kenya. 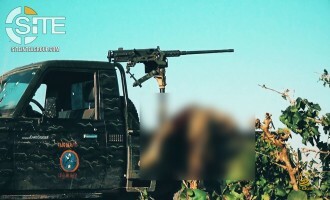 The Shabaab al-Mujahideen Movement, al-Qaeda's (AQ) branch in Somalia, claimed killing and wounding 10 soldiers from the Somali National Army (SNA) in Afgoye, in addition to eight other operations and the execution of captive Somali soldiers elsewhere in the country. 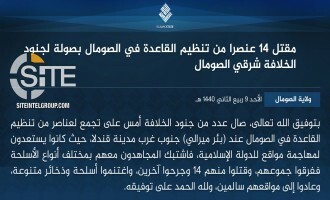 Now using the "province" designation for Somalia, the Islamic State (IS) claimed credit for attacks on security forces in the capital, Mogadishu, and Lower Shabelle. 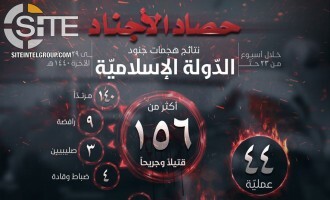 The Shabaab al-Mujahideen Movement, al-Qaeda's (AQ) branch in Somalia, released a video documenting 16 attacks against the Somali National Army (SNA) and the Somali Special Forces unit Danab throughout the country. The Somalia-based al-Qaeda (AQ) branch, the Shabaab al-Mujahideen Movement, claimed killing Djiboutian forces within the AMISOM mission in a bombing in Bulo Burde airport, as well as a clash and assassination targeted Somali soldiers and police in Mogadishu. The Shabaab al-Mujahideen Movement, al-Qaeda's (AQ) branch in Somalia, claimed seizing control over a town in the country's Gedo region and attacking Ugandan forces within AMISOM and Somali soldiers in Lower Shabelle and Mogadishu. 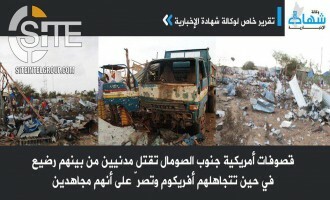 The Shabaab al-Mujahideen Movement, al-Qaeda's (AQ) branch in Somalia, claimed bombing Burundian (AMISOM) military vehicles twice in the same location on the same day, and also killing 10 Somali soldiers near a U.S. 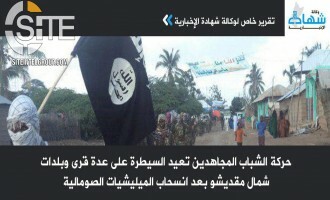 The Shabaab al-Mujahideen Movement, al-Qaeda’s (AQ) branch in Somalia, claimed capturing a town in Middle Shabelle following the withdrawal of Somali forces. 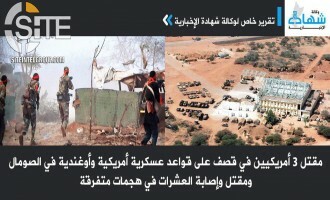 The Shabaab al-Mujahideen Movement, al-Qaeda's (AQ) branch in Somalia, published a photo report on the village and Somali National Army (SNA) base it captured therein following a raid near Kismayo. The Shabaab al-Mujahideen Movement, al-Qaeda’s (AQ) branch in Somalia, claimed killing over 30 and wounding dozens of Somali forces in a dual suicide operation near Kismayo, Lower Juba, in addition to attacks in Banaadir, Bay, Lower Shabelle, and Puntland. The Shabaab al-Mujahideen Movement, al-Qaeda's (AQ) branch in Somalia, claimed killing 5 Somali soldiers in separate attacks in Qoryoley and striking an AMISOM base outside the capital, Mogadishu. 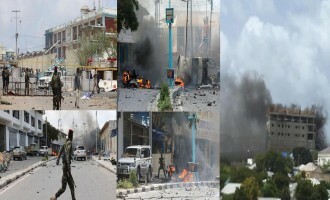 The Shabaab al-Mujahideen Movement, al-Qaeda's (AQ) branch in Somalia, claimed killing and wounding over 25 Presidential Palace guards in two suicide bombings and a raid at the location in Mogadishu, in addition to waging other attacks in the capital and in Afgoye. In a follow-up to its prior reports on the suicide attack at the Somali Interior and Security Ministries in the capital, Mogadishu, the Shabaab al-Mujahideen Movement claimed killing over 34 staff members and wounding dozens of others.